At Wateringbury we value the opinions of all children, staff, parents and governors and we encourage our school community to become actively involved in all aspects of school life. For the children this includes taking on leadership roles and contributing their thoughts and ideas on ways we can improve our school. We have a group of Junior Governors from Years 2, 3, 4, 5 and 6 who represent all our pupils and work hard to make improvements in our school. 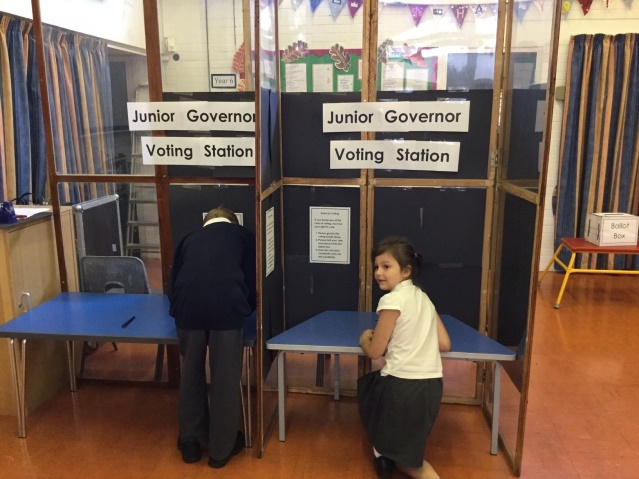 The election of our Junior Governors reflects our British electoral system and demonstrates democracy in action. At the start of the year candidates apply for the positions outlining why they would make good Junior Governors, campaign around the school for votes while their classmates consider the characteristics important for elected representatives. 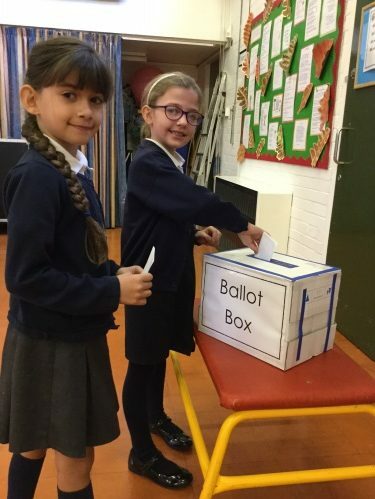 Finally, all pupils vote in secret using ballot boxes. 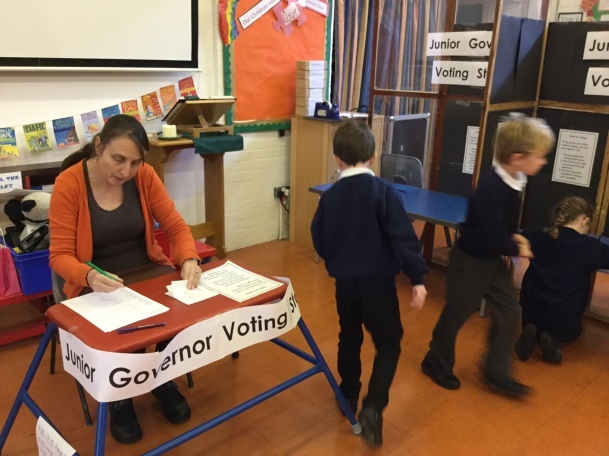 Due to the popularity of the process, all Junior Governors serve for half the year, to enable others to have a turn during the second part of the year. Junior Governors meet with our Deputy Headteacher and follow an agenda modelled on the school’s Full Governing Body agenda. Their role is to represent the children in their class and to feedback to their classes on issues discussed at the meetings. 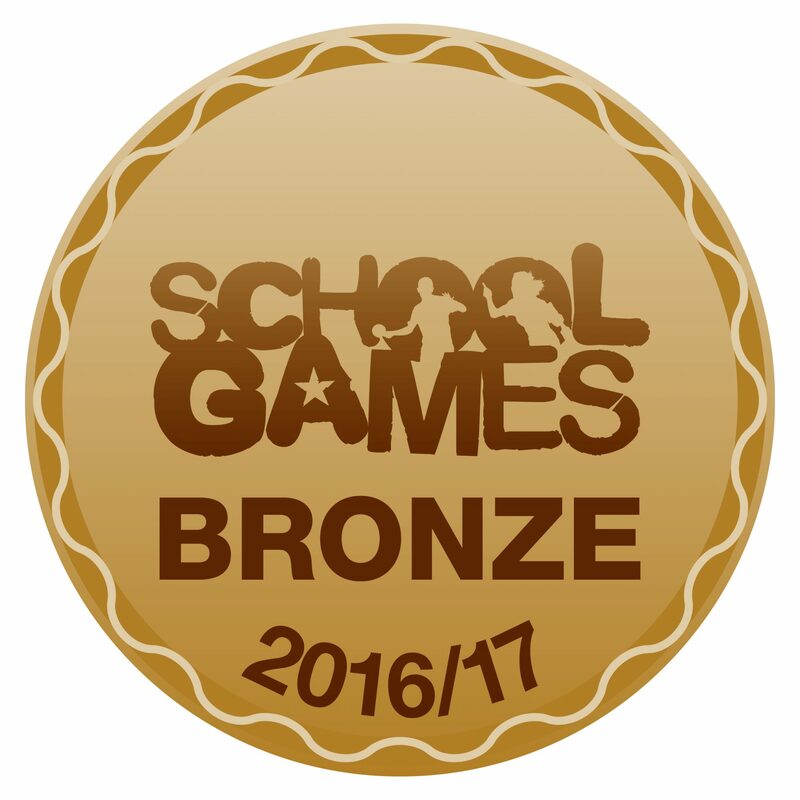 They also work on special projects and run an after school stationery shop. From time to time our adult Governors come and observe the Junior Governors in action and the children have the opportunity to present their opinions and ideas at Full Governing Body meetings.